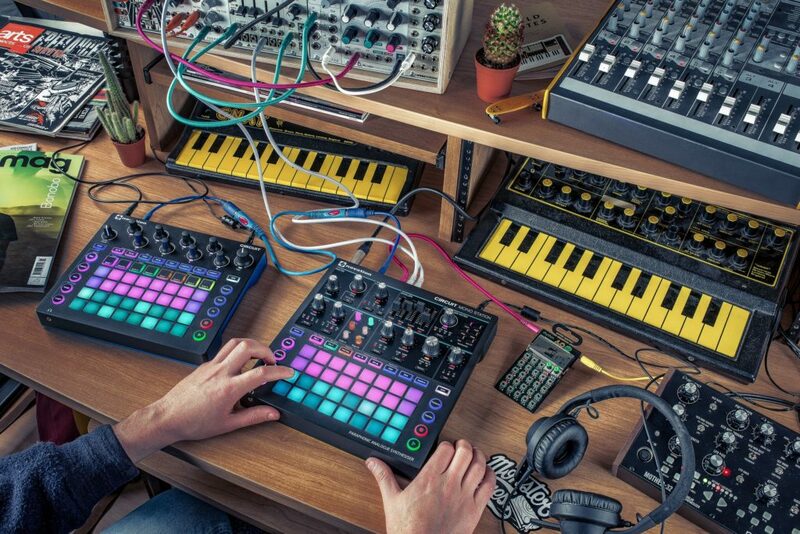 Take the grid-based workflow of Circuit – and build a sequencer workstation with a paraphonic analog synth. 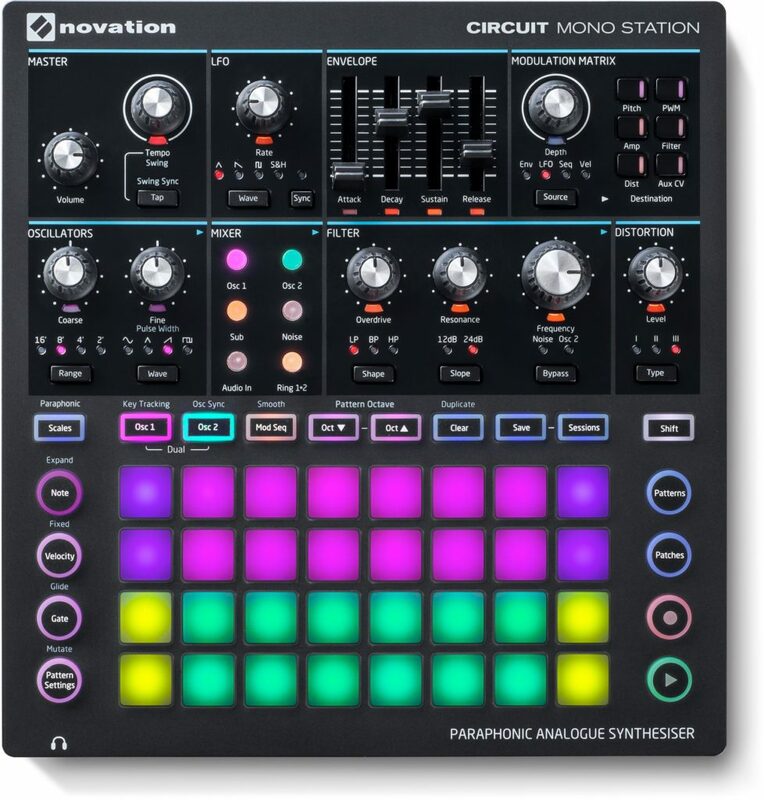 That’s the formula of the Circuit Mono Station, one of two new synth products Novation are showing off this week in Berlin at Superbooth. We got a first look via leaked photos; now here are the full details. A three-track sequencer. Yeah, so makers are finally working out that part of what we want to do is drive external synths (via CV or MIDI or both). Here, you get three track’s worth. Now, interestingly, you get two “oscillator” sequencers and one “modulation” sequencer. On each, you have gate length, sync rate, and then you can either switch or mutate patterns. Bonus: lots of modulation: four waveshapes, envelope, sequencer, or velocity, which you can route to pitch, pulse-width, amp, filter, distortion, or CV. And you still get some digital-era benefits: 64 patches to load and save. It’s also really an audio processor/sequenced modulator. Audio input means all those sequencing features coupled with the filters and distortion let you modulate external signal, too. That more or less doubles the use of this box, and it’s very clever. Generally, integration is the message. Circuit already had Web-based integration with Components. That will evidently get repeated here, with a USB connection to your computer. But you now also get features that focus on integration with your studio. In addition to the audio input, you get MIDI in, out, and thru, plus analog ins and outs – and that integrates with the sequencer. And I think it’s relevant that this Circuit inherits all the features that gradually evolved over the previous models’s consistent firmware updates, adding features like Scales mode. * Paraphonic / duophonic – what does that mean? Synths that have separately-controllable oscillators, routed through a common voice architecture (filter/amplitude) are generally called paraphonic. That’s the term Novation use. In this case, you can independently control the pitch of two oscillators at once, via the Circuit Mono Station’s sequencer. But there’s only one amplitude envelope and filter through which they can be routed, so they aren’t truly independent voices – just independent oscillators. In other words, you can hear two notes at once, but you’ll have just one set of filter and amplitude controls for both.